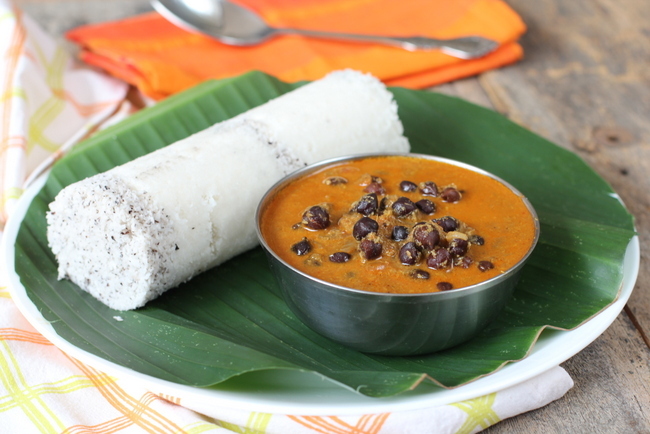 Puttu Kadala curry is God’s own country’s treasured breakfast dish. 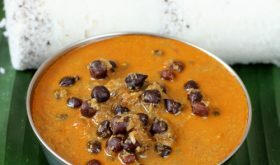 Kadala is a coconut based kala chana (black chickpeas) curry that is rich in protein and lip smacking good when eaten with Puttu. 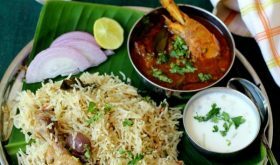 The first time I tasted an authentic style chickpea curry was at a home stay in Wayanad and I was blown away. The combination of the rice flour steamed cakes with the fragrant and subtly spiced chickpea curry was comforting and filling enough to see me through the whole day. Shallots aka sambar onions and fresh coconut are essential ingredients. 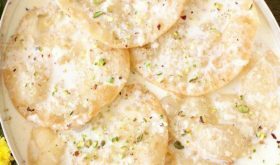 I wouldn’t suggest skipping coconut milk because it elevates the flavor of the curry by leaps and bounds and provides the much needed gravy to the dish. 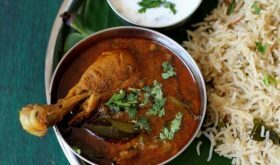 Warming flavors, rich and comforting, Kadala curry is one of the classic Kerala vegetarian recipes you will ever taste. Pressure cook black chick peas in 3 cups of water and salt upto 4 whisltes. Once cooked, keep aside. While the chick peas are pressure cooking prepare the masala by roasting and grinding the ingredients called for the masala (see above). Heat oil in a heavy bottomed vessel, add chopped onions and saute for 4 mts. Add ginger garlic paste and green chilies and saute for 3 mts. Add the turmeric powder, chili powder and coriander powder and mix. Add chopped tomatoes and saute for 4 mts. Add the cooked chickpeas along with the left over water and adjust salt. Simmer for 4 mts. Add the ground paste and garam masala powder and cook for 8-10 mts. Add the coconut milk and curry leaves and simmer for 3-4 mts and turn off heat. 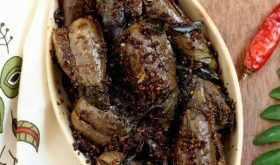 While roasting the masala, roast the cloves, cinnamon stick, fennel seeds and pepper corns, followed by the sliced shallots. Roast for 3 mts. Add the grated coconut and roast for 4 mts and turn off heat. Cool and grind to a paste adding very little water. 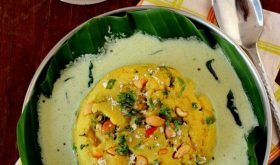 By Sailu Published: December 31, 2012 Puttu Kadala curry is a classic breakfast and culinary gem among Kerala vegetarian recipes. 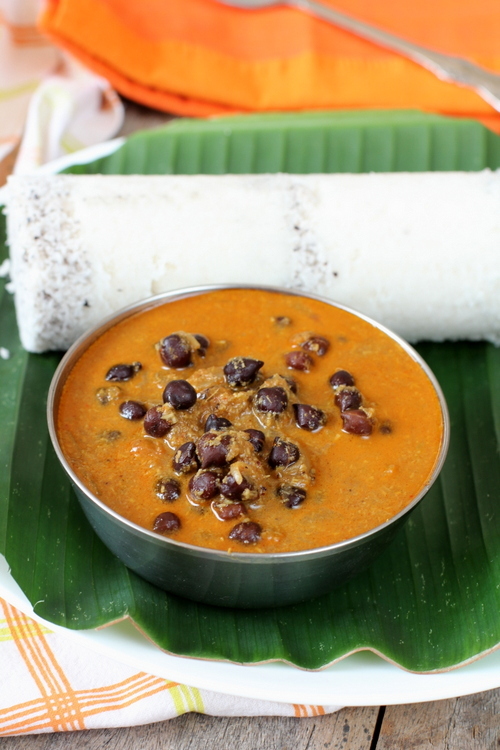 Kadala, coconut based black chickpeas curry served with Puttu.